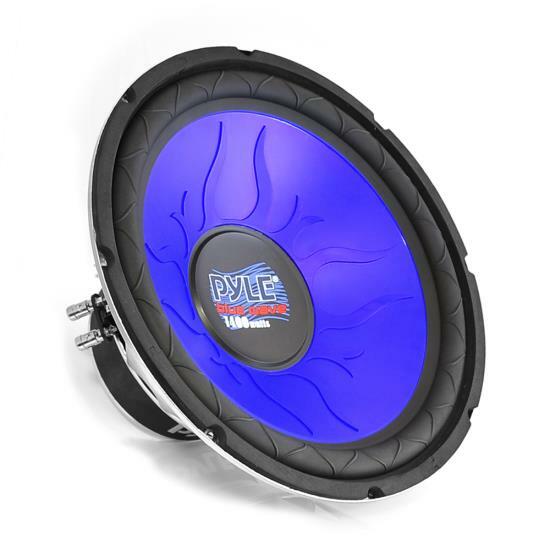 Pyle's Blue Wave series speakers don't just sound great - they look great, too. Feast your eyes upon the azure curves of Pyle's Blue Wave series and you'll agree. The PL1090BL is a 10' booming 1000 watt subwoofer designed with the bass lover in mind. This subwoofer will make your music growl in your vehicle or at home, in any type of enclosure: sealed, vented, or open-air. The blue injected molded cone looks great - and thanks to a 70 oz. magnet, non-fatiguing big rubber suspension, and a rubber magnet boot, it sounds great too. The flat progressive spider design improves the speaker's mechanical stability - increasing the life of your speaker and keeping your sound clearer over time. Connect using the silver plated terminals for a distortion-free sound. Wiring for a 4 ohm amp?